Perfect for some steampunk/H.G. Wells-inspired collage art. 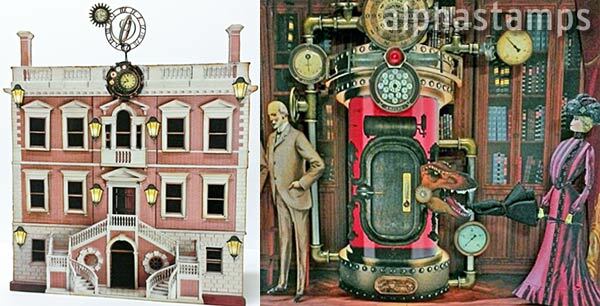 Even more images are in the coordinating Time Machine Set Download. Design Team Member Laura Carson made a Time Machine Shadowbox (see the wide photo below). More info in the blog and/or see the supply list.